...a Severe Thunderstorm Warning Remains In Effect Until 1030 Pm Cdt For Coke And Southwestern Nolan Counties... At 1004 Pm Cdt, A Severe Thunderstorm Was Located Near Silver, Or 12 Miles Northwest Of Robert Lee, Moving East At 40 Mph. Hazard...60 Mph Wind Gusts And Quarter Size Hail. Source...radar Indicated. ...Read More. The National Weather Service In Fort Worth Has Issued A * Severe Thunderstorm Warning For... Central Erath County In North Central Texas... North Central Comanche County In Central Texas... * Until 1100 Pm Cdt. * At 1001 Pm Cdt, A Severe Thunderstorm Was Located Over De Leon, Or ...Read More. The National Weather Service In Fort Worth Has Issued A * Severe Thunderstorm Warning For... Eastern Tarrant County In North Central Texas... Dallas County In North Central Texas... * Until 1115 Pm Cdt. * At 958 Pm Cdt, A Severe Thunderstorm Was Located Over Euless, ...Read More. 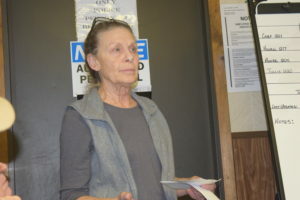 GRAPELAND – As the Grapeland City Council meeting held on March 14 got underway, Grapeland resident Marguerite Clem voiced her concerns about a recent water bill that saw her cost skyrocket from the $40 range to a price of $931. 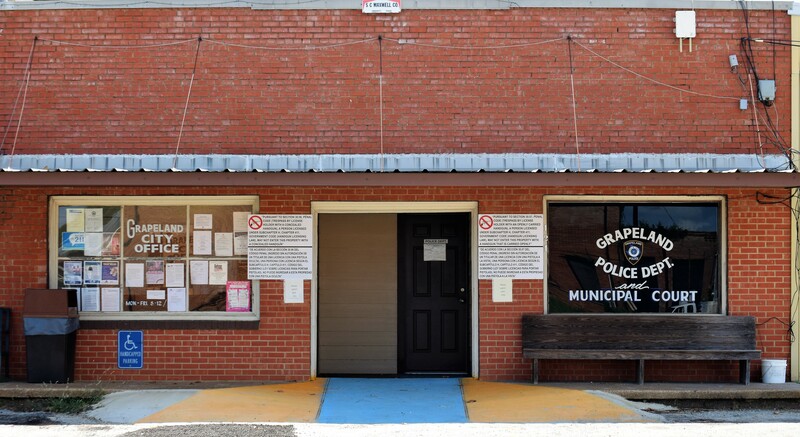 Clem expressed she had been a paying customer with the City of Grapeland for over 30 years and this was one of the few issues she had incurred during that timeframe. She indicated she had consulted with engineers and had eventually discovered a leak that was repaired but still had issues. Clem explained while investigating the issue, it was also discovered her toilet had a leak as well, but when the water was completely shut off the water meter still showed activity. Eventually a motion was made to allow Clem to pay off the $931 bill over time. The next Grapeland resident to speak was former mayor George Pierson who referenced an incident involving his family during early February. “For every action there is a reaction. I gave a full complaint form to the city secretary and I asked her to provide a copy to each of the city council members. I don’t have much to say beyond that except three questions. “An arrest warrant was turned into the county attorney’s office with the alleged violation, a class ‘B’ misdemeanor. I was told by law enforcement, after Judge Black signed the arrest warrant, it was rescinded. To this date I have not received any information about the warrant and I might still be under the warrant and need to be arrested,” Pierson said. “Another thing I would like to ask is if the warrant has been rescinded, I need documentation. I also have a great problem in the way my great grandbaby was treated. It was very traumatic when her mother and grandmother and a female officer was right there with her,” he said. The third item Pierson requested was the city’s racial profiling report I would like to see a copy of the racial profiling report. Mayor Balis Dailey commented the matter happened 41 days previous and Pierson had just filed the report earlier in the day. He also pointed out several specific areas were missing Pierson’s signature. Once the required signatures were obtained, Dailey said he would submit the matter to the Houston County District Attorney for review. As the meeting continued Building and Standards Committee Chairperson Dianne Hollister said the BSC might be able to acquire a significant grant to help clean up the city. The mayor said a final determination on the grant would be in May. A lengthy discussion was also held about allowing the Chamber of Commerce to sponsor an International Barbecue Cookers Association (IBCA) sanctioned barbecue event – along with an antique car show – to be held in the City Park. 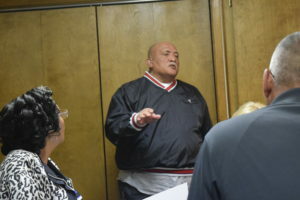 The discussion lasted about 20 minutes and topics from security to clean-up to utilities were addressed before the council gave its approval for the May 6 event. The Municipal Court collected a total of $11,925.97 comprised of $6,490.25 in city revenue, $3,772 in state revenue and $1,663.72 in delinquent fees. There were 43 citations written, 37 total dispositions, 14 warrants issued and one pro capias fine was issued. City Superintendent David Malone reported the city used 5,277,000 gallons of water from the municipality’s water wells. There were 3,710,000 gallons of water sold during the month of January and 2,600,000 gallons of wastewater were treated, for a daily average of 94,000 gallons. Resolutions were adopted to: designate authorized signatories for the Texas CDBG Program Contract and to put the required CDBG Civil Rights Policies in place. The month of April was also proclaimed as Fair Housing Month. The monthly profit and loss statement, budget adjustments and the payment of current invoices were approved by the council. The minutes of previous meetings were also approved.